The pro-life movement itself rests on an uneasy contradiction. The same people who cry for the rights and safety of the unborn seem to forget about their existence after birth. Pro-life supporters mostly lean to the right with 65 percent of Republicans believing abortion should be illegal in all or most cases. Their champions argue about the sanctity of life and support for mothers, but when it comes down to supporting needy families, many consistently vote to slash funding. This contradiction is not just something that happens when we elect crooked politicians. In the actions of pro-life groups across the country, we see this disconnect in broad daylight. Consider the recent actions of Tulane’s very own pro-life group. Putting ribbons on the Academic Quadrangle was the ultimate performance, a way to signal to everyone the supposed tragedy of abortion and all the lives lost. Though it was a polarizing performance, it was nothing more. Putting ribbons on the quad did nothing. Childhood poverty continues to be a pervasive issue in New Orleans, and women are still likely to be in the lowest bracket of income in NOLA. These are real issues that affect thousands every day, yet pro-life students organizing at one of the richest universities in the country just put up ribbons. These are the students that supposedly want to help children and their mothers, yet their biggest event of the year is a performance with no tangible results. The time, effort and money that went into that display could have been used to help needy families, offer support for single mothers or provide necessary prenatal care to parents in one of the cities where it is needed most. Not only did this organization not provide the help for mothers they champion, they ignored New Orleans. 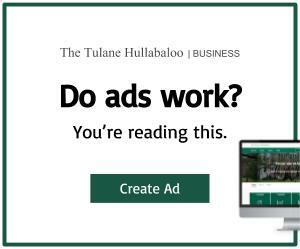 Keeping this display at Tulane shows where their values lie: not in helping people who genuinely need it, but in setting up a performance to anger people on a rich campus. Even the method by which they protest is insensitive. Choosing to have an abortion can be extremely difficult and traumatic, especially in states with pro-life laws. Parading around what the protesters essentially consider dead children can be very triggering for anyone who has had to make such a tough decision. Aside from using a poor method to get their message out and attain real results, they alienate mothers with their garish display. The pro-life movement needs to check back into reality. Having children is an expensive and difficult process. Not everyone can afford to have children or even keep up with the medical expenses required to carry a fetus to full term. Birth defects, cognitive disabilities and a myriad of other conditions can also make pregnancy and child-rearing much more difficult, expensive and sometimes dangerous to both the mother and fetus. In refusing to acknowledge that reality when it comes to abortion, the pro-life movement fails itself. Mothers need to be supported, and they deserve help. Planting ribbons in the quad does nothing to acknowledge the hardships of pregnancies and the stark reality of raising children today. Support organizations like Planned Parenthood and local women’s health centers so mothers get the care they actually need, not insulting displays to an insular community. Quinn Burke, it is a great honor to be part of a society where even you can express your views. With those views comes a responsibility to due diligence, although this article as well as most of your previous, fall short in this effort. In sticking with just your responsibilities as a “journalist?” you have failed to include appropriate research, statistics and balanced reporting. In fact, you have demonstrated fairly well, what you have railed against in your article on Fake News where you warned readers to ” Use reputable sources as a fact-check on statistics or stories that seem outlandish.” I would strongly suggest before writing another op ed for you to research what are the logical fallacies of debate. You appear to be well versed in their practice which sadly, or appropriately, deter from your writings. Wishing you well in your journey, and even more so, in your education. Specifically to this article. 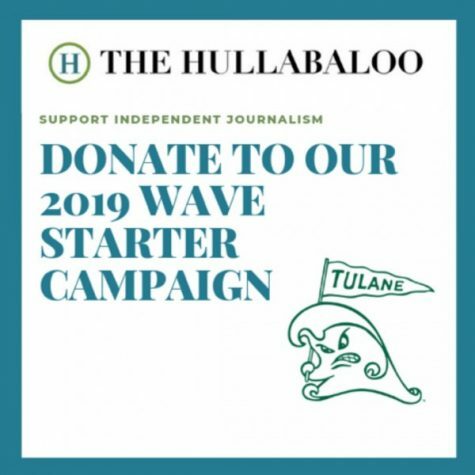 If you had taken time to research TURTL, you would understand that Tulane University Right to Life (TURTL) is dedicated to the protection of all human life from conception to natural death. With a fundamental message of love and acceptance, TURTL accomplishes this goal through conversation and education on Tulane’s campus as well as through grassroots outreach in the New Orleans community. It is interesting, using your own article as a point of reference, you have “exaggerated or misconstrued” the information to try to create your own version of hate speech using fake news. You attempt to label all who value life from conception as Republicans. You then use failed logic to suggest these same individuals are voting to slash family funding. Cats are animals. Dogs are animals. Cats are dogs. You raise the cost of the event as being a failure, as funding could be used elsewhere. And yes, while it could, you demonstrated your lack of knowledge regarding awareness, campaigns and the right to speech. Like the Women’s March, Martin Luther King’s “I have a dream” or any other event to raise awareness, one must speak up. A true campaign involves many elements and, very successfully, this one has created heightened awareness…enough so that even you wrote an article about it. TURTL does provide benefits in ways of donations, time and energy to the exact causes you highlighted. Again, if you had done the research you ask people to do, you would have known this. I could continue with a plethora of other examples regarding the extreme failure of your op ed, but I would rather leave that to your teacher and editor to advise going forward. Please note that I wanted to thank you for writing this though. You have demonstrated why TURTL and other organizations must continue to raise their voices and awareness so ignorance doesn’t go unchecked. Let me leave you with one other thought. Women and their bodies are to be respected. They should not be subject to unnecessary surgeries, emotional and physical trauma. On average, 150 women have a procedure that could have been prevented with proper awareness, education and personal responsibility. If we were talking about a benign tumor, the world would be outraged that more wasn’t being done to prevent this epidemic and try to address the root cause(s). When it is labeled a fetus, many lose interest. Perspective….wishing you some. Not a current student or associated with pro life Tulane, just wondering if you are familiar with the concept of a straw man? Also I am slightly troubled by the idea of monetary value being applied to life, are you arguing that those in systemic poverty should not have children because they can’t afford to? It’s much easier to judge a group of people from afar than it is to actually engage with them and find out what they believe. Tulane’s pro-life community is not composed of stereotypes. Any discussion of these “contradictions” could have benefited vastly from *asking* pro-life Tulanians what they believe about issues such as poverty, and what actions they are taking and/or supporting to address them. It seems no one from the Hullabaloo cared to do so. Additionally, if you happened to believe that abortion was the unjust taking of an innocent human life, how on earth could you be expected to just shut up about it and focus only on other issues instead, when tens of millions of abortions have occurred (ie. lives have been lost) since Roe v Wade? You’d see it as a *massive* injustice, something demanding immediate attention. I’d like to ask any pro choice readers to put yourselves in our shoes for a second and imagine that you believed what we do about human life. If you did, you would protest too. They aren’t lives lost, get off your pretentious high horse. Its a FETUS and in most abortions, nothing more than a bundle of cells. Try science next time.